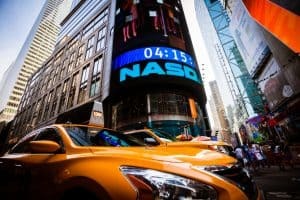 US exchange operator Nasdaq has officially launched a rival bid for Norwegian stock exchange Oslo Bors with an offer that exceeds Euronext’s initial bid made earlier this month. Nasdaq said that it has offered NOK 152 in cash per share for Oslo Bors, valuing the bid at $770 million. The offer represents a 5% premium on Euronext’s offer of NOK 145 per share or around €625 million. The US exchange added that it currently has “irrevocable pre-acceptances” of the offer from two major shareholders, investment bank DNB and pension company KLP, which represent around 35.11% of the total shares in Oslo Bors. Oslo Bors’ board of directors have also unanimously decided to recommend to shareholders that they agree to Nasdaq’s offer, not Euronext’s. Euronext, however, said in December when announcing its intentions to acquire the Norwegian exchange operator that it had “irrevocable pre-commitments” from 50.6% of shareholders in Oslo Bors to sell shares to Euronext. Early in January, Oslo Bors invited rival bids following Euronext’s offer of acquisition, after an auction of shares was arranged by Oslo Bors’ majority shareholders without the knowledge of the exchange. Both offers from Nasdaq and Euronext are conditional upon regulatory approvals, and The Norwegian Ministry of Finance will also make its decision on the acquisition based on advice from the country’s regulator. Nasdaq is due to officially publish its offer document on or around 4 February. “Combining Oslo Børs VPS’ exchange and securities depository expertise with our technology leadership and experience supporting the growth of small- and medium- sized enterprises and investors in the region, will not only help make the Norwegian markets stronger but the region in its entirety can become an even greater economic engine for long term growth,” Nasdaq’s chief executive, Adena Friedman, also commented.